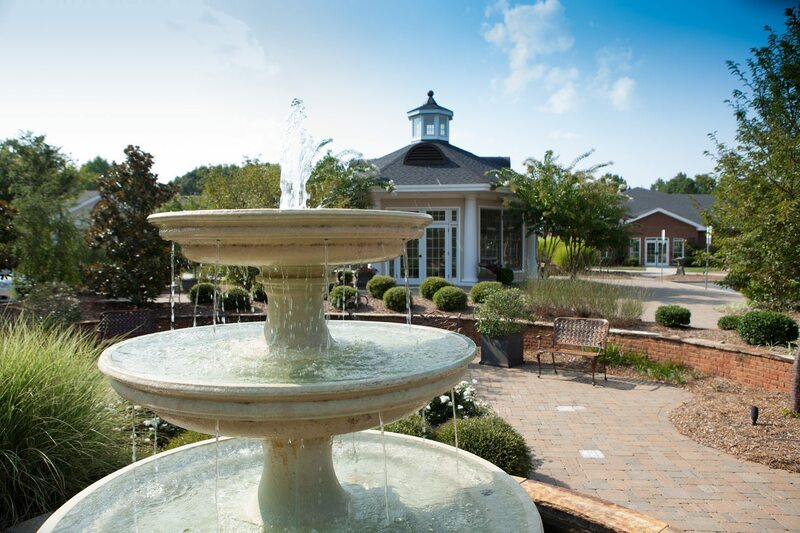 The Hospice & Community Care campus includes the Wayne T. Patrick Hospice House, the Hospice & Community Care Community Building, and the Marie Bott Sanctuary, all surrounded by gardens. Situated on 10 acres off India Hook Road in Rock Hill, SC the campus provides a blend of convenience and serenity. It’s easily accessible to interstates and highways, and other healthcare facilities. Our campus was designed to offer physical, social, emotional, and spiritual care for people with terminal illnesses and their families. As the area’s only free-standing hospice house, the Patrick House provides Hospice & Community Care patients with expert care for pain control and symptom management, offers caregivers an opportunity for respite, and furnishes a safe, secure place for patients who may need residential hospice care. Staffed around the clock by registered nurses and nursing assistants, our team of physicians, social workers, counselors, volunteers, and chaplains are available for both patients and their families. 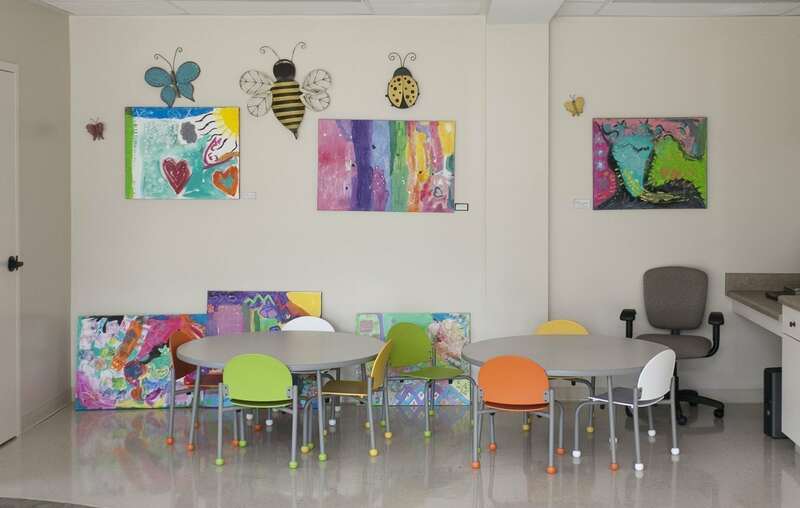 Piedmont Medical Center Community Room accommodates up to 100 people and is available for use by community groups and organizations. It’s equipped with a microphone, overhead LCD projector, screen, and access to a kitchen that supports limited catering. Junior Welfare League Children’s Room houses a children’s grief library, arts and music area, and play areas. Founder’s Federal Credit Union Library Designed as a conference room, it seats 14 at the conference table, with 16 second row seats. It’s equipped with an overhead LCD projector, screen, and group conference-call capability. A focal-point of the campus, the Marie Bott Sanctuary offers a place of solitude and comfort. A round chapel design, Marie’s Sanctuary is glass allowing guests visions of our gardens from any place within. It is available for quiet prayer and meditation and is often used to host memorial services. Marie’s Sanctuary is non-denominational and open to all. Understanding the importance of nature and its therapeutic impact, the campus of Hospice & Community Care boasts a number of gardens and outdoor therapy areas. Green spaces and water flow promote calmness and offer areas conducive to deep thought and reminiscence. Each garden features unique designs tailored to offer patients and their families space to worship, contemplate, reminisce, and refresh themselves. We welcome monetary gifts to support the planting of flowers, shrubs, and trees to nurture our gardens. These gifts may be given in honor and remembrance of loved ones. If you are interested in purchasing a pavestone to place in the Sanctuary Garden, click here.